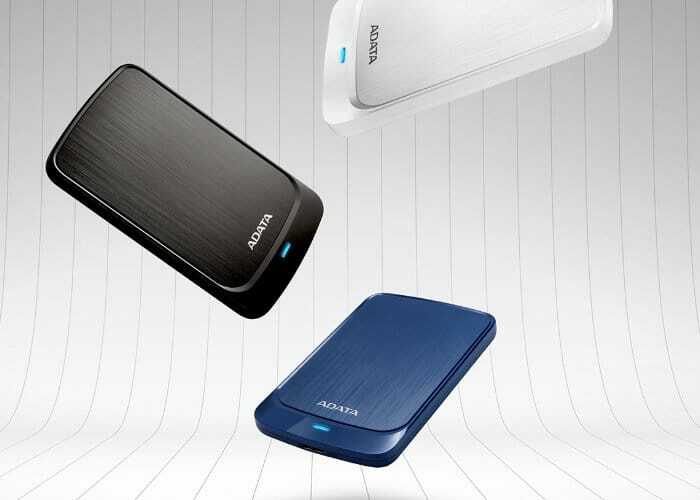 ADATA has launched two new portable hard drives, the ADATA HD680 and the HV320 offering either robust protection or ultimate portability depending on your needs. The HD680 is designed to provide robust protection and comes with up to 2TB of capacity. While the HV320 is geared for portability offering a slim form factor and capacities up to 5 TB in size. 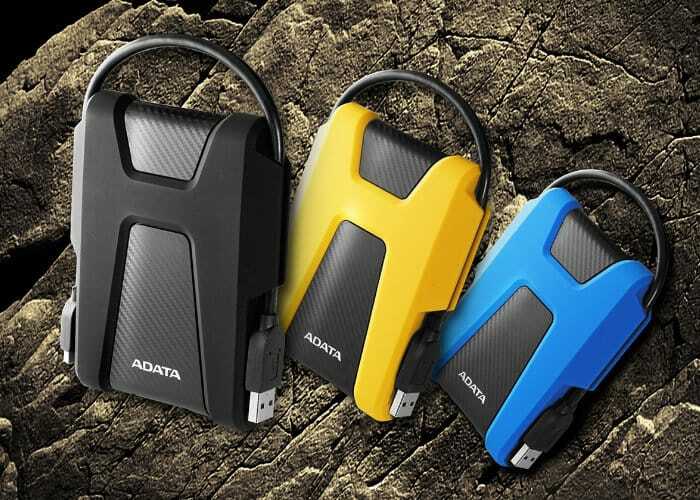 ADATA HD680 – Data Defender – When bringing data on the road, it just makes sense to do so with an external HDD that can defend the data inside from knocks, drops, and prying eyes. The HD680 has been tested to meet the U.S. Military MIL-STD-810G 516.6 standard and achieves this with a triple-layer construction that consists of a shock-absorbing silicone casing, sturdy buffer, and a cushioned mounting for the hard drive. This robust construction allows the HD680 to withstand falls from up to 1.22 meters. What’s more, the HD680 features shock sensors that notify users via its LED indicator when impact or shaking has occurred and AES 256-bit encryption that keeps data password-protected. The HD680 comes in three colors – black, blue, yellow – and has a nifty groove around its shell that serves as a convenient place to store its detachable USB cable. ADATA HV320 – Big on Space, Slim in Form – Carrying around lots of data has never been this hassle-free. Measuring just 10.7mm thick the 1TB and 2TB variants of the HV320 slip easily into bags and pockets. The HV320’s front cover features an elegant hairline-brushed finish that is pleasing to the eyes and has a nice tactile feel. Combined with its glossy frame, this HDD exudes a sense of understated sophistication. Users can choose from three colors – black, white, blue – to suit their personalities. The HV320 also has a lot going for it on the inside. In an age of 4K video, GBs just don’t cut it anymore. Luckily, the HV320 comes with up to 5TB of capacity for storing a lot of high-resolution content. As with the HD680, the HV320 also comes equipped with shock sensors and AE! S 256-bit encryption. For more information on the new hard drives jump over to the official ADATA website by following the link below.